Neck injuries: Neck injuries often result from car accidents. The neck injury range from be a minor whiplash, strain, or sprain to cervical dislocation to bulging and herniated discs. Back injuries: The lower back is often sprained or strained during car accidents. Car accidents may cause herniated discs and fractured vertebrae. Back injuries limit mobility and may not appear until days after the accident. Back injuries are long lasting. Facial injuries: Facial injuries result from contact with shattered glass, the steering wheel, dashboard, airbag, windshield, side window, or car seats. Facial injuries may be lacerations, fractures, and may require dental treatment. Lyft and Uber are permitted by the California Public Utility Commission to use smart phone applications to schedule rides in their drivers’ privately owned vehicles. Lyft and Uber allow average drivers with no commercial qualifications shuttle passengers, but they emphasize safety is their highest priority. They boast $1,000,000 of liability insurance and a Trust and Safety Team 24 hours each day to meet its passengers’ needs, but that team is also their claims adjuster. The $1 million liability insurance policy only pays when the Lyft or Uber driver causes the accident. The Lyft or Uber driver was driving where and when he or she was because passengers who paid for a ride wanted to go there. The law of imputed negligence applies to the passengers of the Lyft or Uber driver who forced him or her to drive. The Federal Motor Carrier Safety Administration (FMSCA) of the United States Department of Transportation regulates commercial truck drivers in the United States. The FMCSA stores and analyzes commercial motor carrier crash data. In 2016, the number of fatal commercial truck accidents increased 2% above the 2015 rate to 4,440, which is 29% greater than the 2009 rate. The 2016 rate is, however, 15% lower than 5,231 fatal commercial truck accidents in 2005. In 2016, commercial truck drivers were involved in 119,000 nonfatal crashes which resulted in personal injury. Intercity buses caused 227 fatal crashes in 2016. 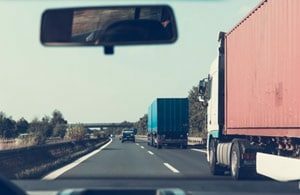 A collision with a tractor-trailer truck frequently results in wrongful death or catastrophic injuries because the commercial truck weighs 16 times more than most cars or small pick up trucks. A loaded tractor trailer truck requires a 40% greater stopping distance than a car or small truck requires. Poorly maintained breaks on wet or mountainous highways contributes to hundreds of thousands of commercial trucking industry accidents annually. Professional commercial truck drivers battle fatigue, inclement weather, construction sites, and stop and go traffic. Large trucks are involved in more than 3,850 fatal accidents. Shipping companies must put only safe well-maintained trucks on the road, and they have a civic duty to hire only adequately trained qualified truck drivers. Law enforcement prevents truck drivers from jeopardizing human lives to increase their earnings. Catastrophic debilitating injuries and wrong deaths result from collisions with tractor trailer trucks. The most common debilitating injury suffered by drivers and passengers during a violent collision is an n acquired brain injury caused by striking the head or being stuck by great force. Symptoms of such a traumatic brain injury may be mild, moderate, or severe. Brain injuries are not visible externally, bit the brain can be bruised, bloody, or swollen. The spinal cord can be damaged or severed by broken vertebrae or bone fragments caused by the accident. Disk material and ligaments attached to the spinal cord can compress nerve fragments, disc material, or ligaments bruise or tear into spinal cord tissue, destroying axons, the part of our nerve cells that carry signals up and down the spinal cord between the brain and the rest of the body. Damage to the spinal cord often results in a loss of function or feeling. Negligence resulted in your traffic accident and personal injuries. If your accident was in collision with a driver of a commercial vehicle, the company which owns the vehicle is liable for your personal injuries, property damage, and emotional distress. Companies that own commercial vehicles are covered under different statutes. You need a personal injury attorney who knows all the laws pertaining to your case. If the driver who hit you was driving a vehicle with faulty equipment or improperly maintained equipment, the service station that repaired, installed, or knew but did not change the faulty equipment, may have contributed to the negligence which resulted in your personal injuries. You need an attorney with the experience to get the information he needs from secondary sources and establish contributory negligence. If the roadway was obstructed or improperly maintained, the highway department may have contributed to the negligence which resulted in your personal injuries. Potholes rattle cars, but they may send motorcycle riders into other lanes of traffic or cause them to lose control of the motorcycle. Workers compensation is not just for workers on the job, on a construction site, or in an office. Workers’ compensation covers employees traveling to and from work and employees running errands for an employer or traveling from a work site to a client site. Workers compensation is specific with strict rules and procedures to follow to claim benefits. Most employers don’t file many workers compensation claims. Yours may be the only one your finance secretary ever had to file. To prevail on a worker’s compensation claim you must notify your employer immediately following your accident or immediately after your physician’s diagnosis of your condition. Workers compensation claims must be filed correctly within four weeks of the date of your accident for you to receive workers compensation. Workers compensation can also pays temporary partial disability. You may be able to negotiate a lump-sum settlement, but working class usually pays weekly. You should not try to negotiate with your employer, coworkers, or creditors by yourself. Workers compensation pays your medical bills and a fraction o of your salary weekly for a specified number of weeks. If you’re permanently disabled as a result of an accident, you can collect permanent disability payments from your state workers compensation insurance. Workers compensation is usually for a finite number of weeks. Your employer’s obligation to you is met when you accept workers compensation. You can’t sue your employer for compensation for your personal injuries if you accept workers compensation. Workers compensation is no fault, you simply have to prove you were working and the accident occurred. To prevail in a third-party suit against your employer you must prove that the employer was negligent or deliberately caused your accident. If you need money to live on, especially if you’re the head of a household with dependents to support financially, you need a personal injury lawyer who can file workers compensation claims and get you social security disability benefits. Only personal injury attorneys, who are skilled in social security agency law, can help you file for and collect social security benefits. Social security will pay their doctors to evaluate your condition. Honda, Yamaha, Suzuki, Triumph, and Kawasaki manufacture light-weight precision super sport motorcycles capable of reaching speeds of 160 miles per hour. The high horsepower sport engine was developed for racing, but they’re also street legal. Super sport motorcycles cause twice as many fatal accidents than the more expensive more reserved Harley Davidson’s traditional motorcycles. It’s sad too because the sports motorcycles tends to be driven by naïve young males under the age of 34. Motorists stopped in rush hour or construction site traffic don’t expect to be passed when traffic is not moving. Though their motorcycle driver’s manual warns against lane splitting, these young cyclists cause fatal accidents by entering the car’s lane of traffic to pass it. Drivers stopped in construction sites also don’t pay as much attention to the road. They may sit and check their text messages or make a phone call while they are sitting still. Motorcycles accelerate faster than cars, but they lack the car’s antilock brake technology. Experienced motorcycle accident attorneys know the manufacturers of motorcycle engines and parts. The attorney understands the safety features and risk factors involved in maneuvering the motorcycle. If you, someone in your family, or your friend was involved in a collision with a motorcycle while driving a car, truck, or motorcycle, you need a personal injury attorney with experience negotiating and litigating motorcycle torts. Slightly less than half of all such accidents involve a motorist making a left turn, excessive speed, and alcohol. Motorcyclists are often killed or seriously injured, and 25% of all fatal motorcycle accidents occur in collisions with stationary objects. Contributory negligence on the part of a cyclist makes it difficult to recover compensation for serious injuries especially if alcohol, excessive speed, or lane sharing makes the cyclist at least partially liable for his own injuries. Contributory negligence can mean the cyclist is liable for property damage to the vehicle, which struck him. 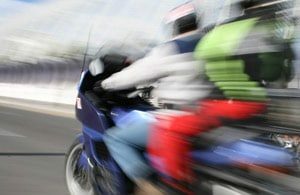 If your motorcycle accident was among the most dangerous, you need a motorcycle accident lawyer and a personal injury attorney. Motorcycles are smaller and less visible than cars and trucks, and 42% of all motorcycle accidents occur while a car or truck is turning left. Half of all motorcycle accidents are due to speed and alcohol. Motorcycles don’t protect the rider, and death and serious injury frequently result from motorcycle collisions. Collisions of motorcycles with stationary objects cause 25% of all fatal motorcycle accidents. You need an experienced motorcycle accident lawyer to prove eligibility for reimbursement for your medical expenses, time lost from work, and emotional distress. In most cases, the vehicle making the left turn is liable for the motorcycle accident, but excessive speed or lane splitting makes the motorcycle liable or partially liable for the accident. Contributory or comparative negligence reduces or denies your recovery from the accident. In some states, the cyclist can be found liable for the accident and recovers nothing for his injuries. The cyclist may have to pay for the property damage to the vehicle, which hit him. The administrator, or executor, of a deceased’s estate is the plaintiff in a wrongful death lawsuit brought to force the at fault party to compensate the deceased person’s estate for the deceased’s medical and burial expenses, and lost wages. Wrongful death lawsuits also compensate the deceased’s dependents for their financial losses and loss of guidance if they are deprived of a deceased parent. How much the defendant pays is determined by the amount of money the deceased would have earned up until his retirement. Truck and car accidents frequently occur on and near construction sites due to altered traffic patterns, distracted drivers, and increased commercial carriers and work vehicles. Collisions with tractor trailers cause horrific motor vehicle tragedies and wrongful deaths. Professional drivers safe guard their driving records, and the shipping company will work to reduce its losses. When choosing an attorney, you need one who knows trucking company procedures and can prove the truck driver, the trucking company, or the service station which incorrectly maintained the truck caused your accident. Personal injury attorneys vary by specialization and by the type of services they provide. When choosing a personal injury attorney, you need to consider the type of accident you need help with, the services you think you need, and testimonials of their clients. The Gorospe Law Group is a personal injury attorney law firm located in Tulsa, Oklahoma. 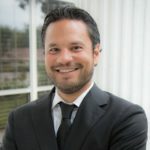 Anthony Gorospe is a personal injury lawyer who is experienced in the areas of auto accident defense, motorcycle accident defense, medical malpractice defense, commercial trucking accidents, insurance bad faith, products liability and premises liability. 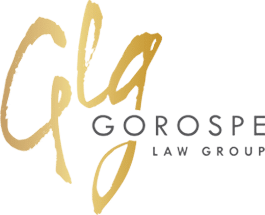 The Gorospe Law Group has helped countless clients seek compensation and support that they deserve following accidents or instances that caused personal injury. The Gorospe Law Group personal injury law firm is located at 1825 E. 15th St. Tulsa, Oklahoma, 74104. Contact the Gorospe Law Group today at (918) 582-7775if you or a loved one has been injured at no fault of your own. 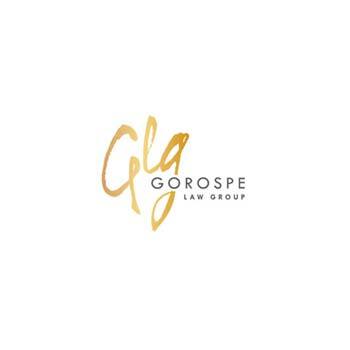 The Gorospe Law Group is here to help you! The Gorospe Law Group Personal Injury Law Firm provides aggressive and dedicated advocacy to injured clients in Tulsa and throughout the State of Oklahoma.